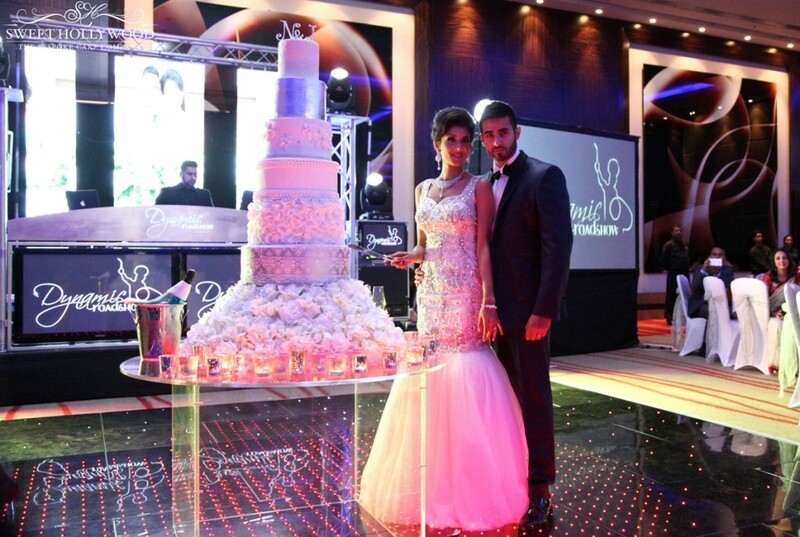 Sweet Hollywood created this magnificent “The Empress” Designer Wedding Cake @ Park Plaza Westminster Bridge London for our clients Janika and Nav’s asian wedding reception. 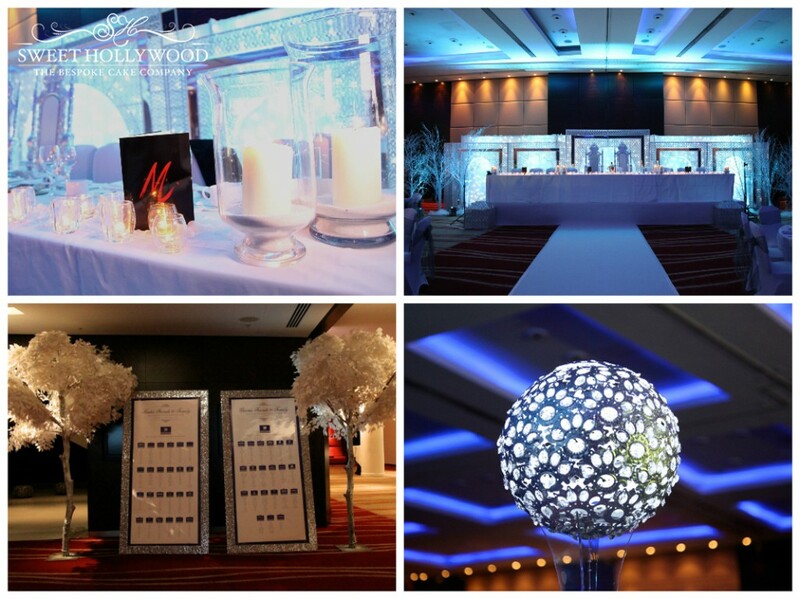 The theme of the wedding was white and silver and the couple wanted a tall statement peice that would wow the couple and guests alike. Janika loved the fact that our designs were like an open book and she could personalise her dream wedding cake. 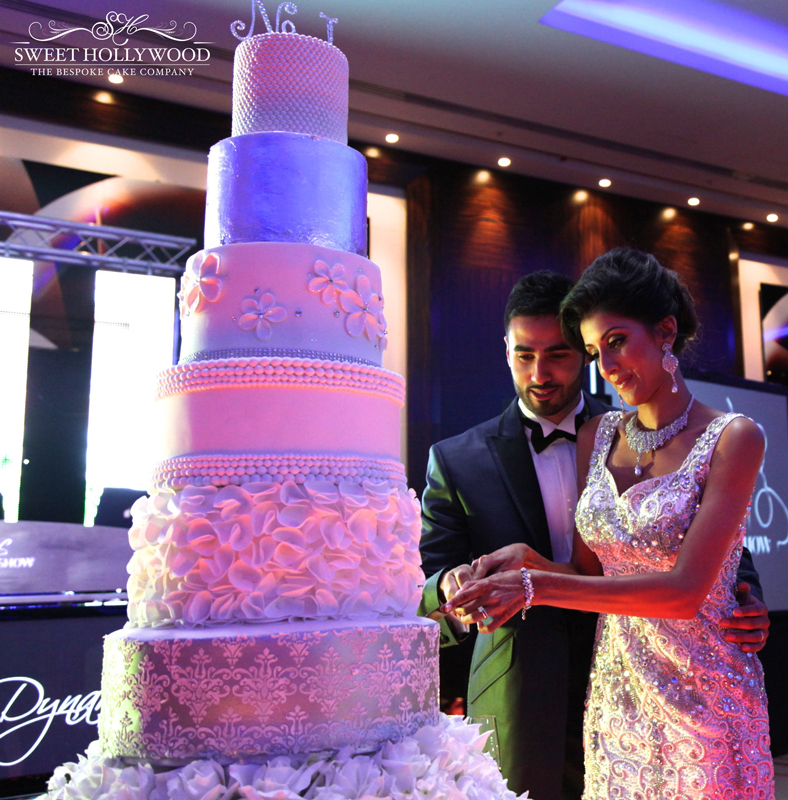 During our consultation we decided to incorporate the white and silver theme into the wedding cake and designed each tier with different design elements, textures and shades to create The Empress. 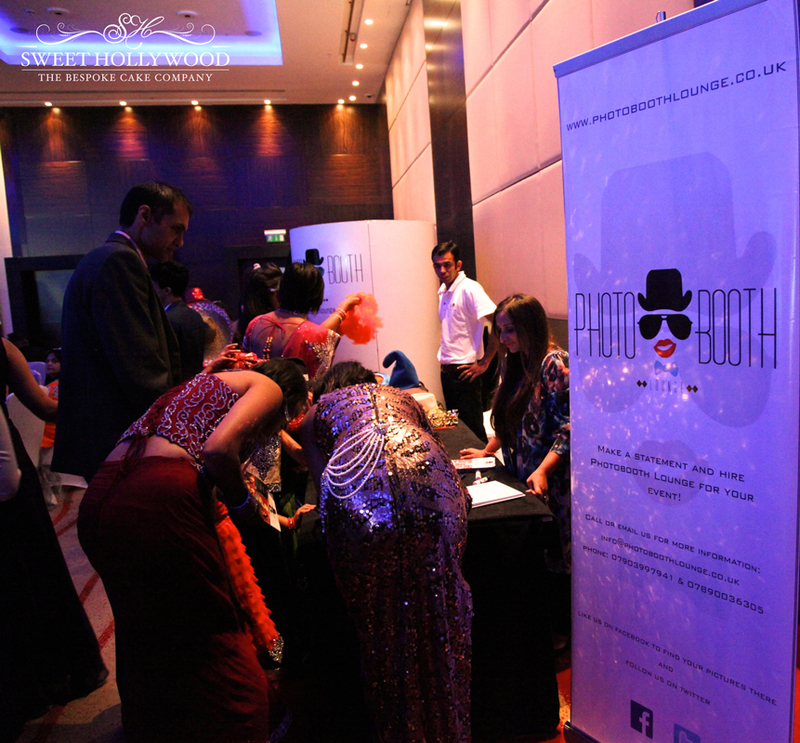 Leading wedding suppliers inluded decor and theming by Exclusive Events, Wedding Photo Booth by Photo Booth Lounge, asian bridal makeup by Khalida, Sound and lighting by asian wedding dj’s Dynamic Roadshow and the wedding was event managed and catered for by Madhus asian wedding caterers. Jankia & Nav take the perfect position to pose before the cake cutting ceremony, our clients requested an eggless wedding cake and we carefully prepared a delicious and moist Raspberry and White chocolate wedding cake that was absolutely Devine and a big hit with guests and not to mention the glamorous couple. Eggless designer wedding cakes have never looked so good in London and all aspects of the cake was personalised to the clients needs. 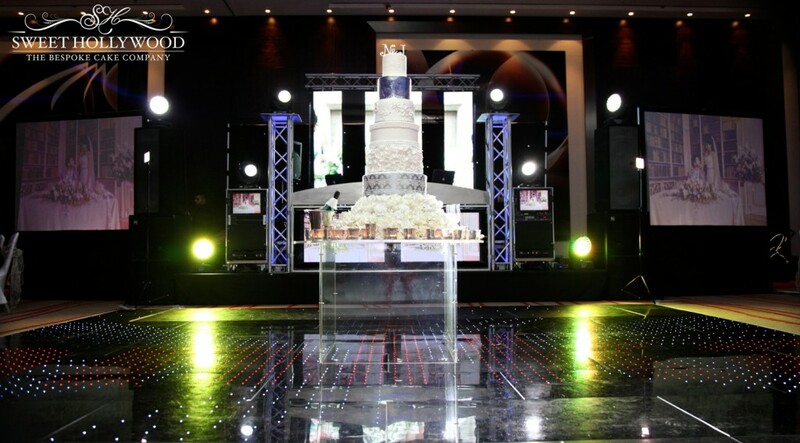 Custom toppers were especially made for the couple and then we addded Swarovski crystal elements to add to the glamour and sophistication of the silver and white themed wedding cake. Detailing on the large empress wedding cake included pearl detailing, silver foil as rumoured to have feaured on Kim Kardashian’s wedding cake, hand made ruffles, flowers and damask detailing. If that was not enough we created a magnificent floral bed of flowers that the empress stood tall and was the centrepiece of this stunning asian wedding reception.